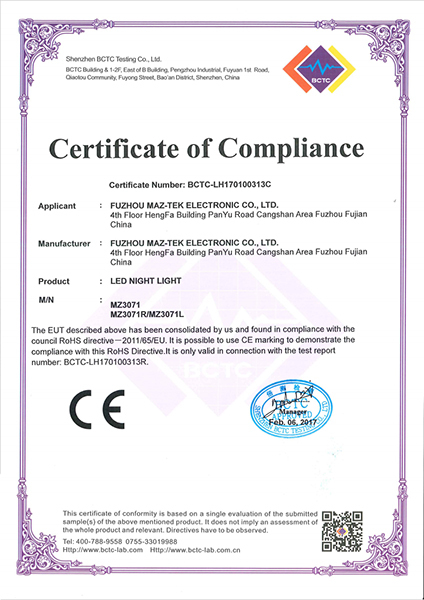 Company Overview - Fuzhou Maz-Tek Electronic Co., Ltd.
4YRSFuzhou Maz-Tek Electronic Co., Ltd.
Founed in 2015,Fuzhou Maz-Tek is an active world-wide and a leading manufacturer, who specializes in producing and developing night lights, LED lights, household articles, gifts and household appliance.Our company is located in Fuzhou City of Fujian Province in China. 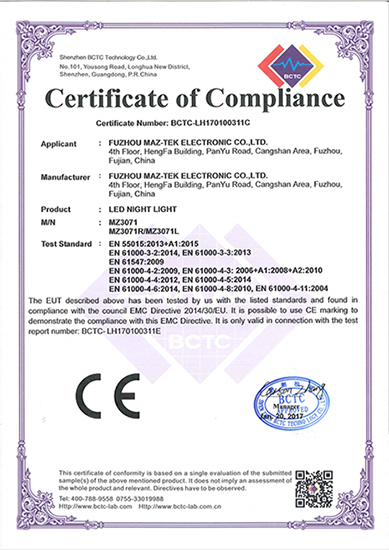 The city Fuzhou is the provincial capital city which is on eastern region of China, Fuzhou city is very closing with FUZHOU port,XIMEN port and NINGBO port.We established and maintained a position in providing perfect service and high quality products to our customers by our advanced lighting concept, first-class quality, knight service, reasonable price and updated marketed information.We have modern management system, advanced producing technology and equipment. Superior quality products and exceptional customer service are the hallmark of our reputation. 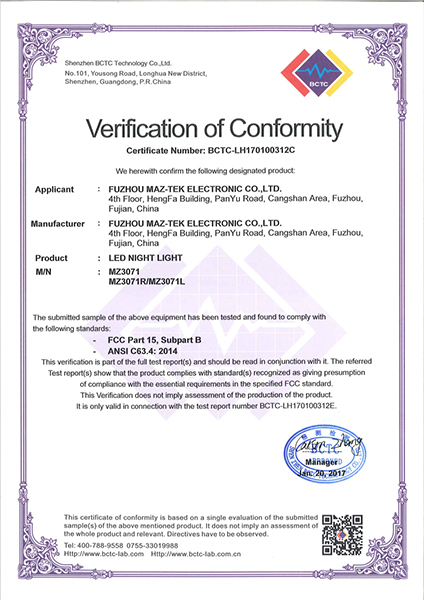 After 1 year development,Our business expand all over the world,30% customers in Europe market,45% customers in USA,15% customers in Japan market and 10% for other market all over the worldIf you have any questions please contact us at your convenience. We expect to have further cooperation with you.